When I first moved to Kigali any “sightseeing” I did was on the back of a moto. Whenever I spotted that distant hill built as a part of Rwanda’s ambitious Vision 2020 with cloned houses built all facing a central church (which sits taller than any house) I got a vomit feeling in my stomach and thought “freaking Pleasantville.” Fast forward three years and now I am living here. You may call it a love-hate relationship. Perks of Gacuriro? All smooth, paved roads. Easily accessible and easy to direct people to. Great running routes. Quiet privacy. Pitfalls? Is it Gacuriro, or Gaculiro? Do you say GacuRIro, or GacuriRO? How about GacuLEEro? No one knows, and it keeps me up every night. Woodlands Supermarket – Now the landmark of the Nyarutarama/Gacuriro divide. The store has a pretty good selection of fresh meat, veg, and dry goods. It’s a mini Nakumatt, essentially. It’s clean and full of employees who will hunt you down if you dare to carry something in your hand instead of a basket. Don’t rely on their cheese department though. It fails me every time. Prices are hefty – they’re buying into the rich population of the area. Parmesan runs 7800rwf while at Frulep or MTN you can get it for 6200rwf usually. Oh, prices of normal things? Uhhh, Inyange Whole Milk is 1000rwf, eggs are 120rwf each, bread is … I don’t know, I finish the cheese before putting it on bread. Gacuriro Supermarket – The best thing about this place is the photos of the mega supermarket (probably in Dubai) that they’ve put on their front sign. Enter the mecca and … find a tiny little shop. Their prices aren’t bad actually, a few hundred less than Woodlands, but their selection is random. You can get frozen meats, fill all your pasta needs, good juice/soda/beverage choices, but their dairy/fruit/veg are more unreliable. There are a few mini shops across the street from Woodlands that have not yet been bulldozed, which I appreciate. You can get the typical stuff you can get in mini shops, for the typical prices. Also, if you go up the road past Woodlands toward Kagugu and keep driving, you’ll hit another spurt of mini shops. They’ve got good avocados. Walk into the gym and work out for free because no one is ever there to check your membership. Get your haircut (Rwf 5,000), or your nails done (Rwf 4,000). Swim in the pool – Rwf 3,000 for the day for a non-member. Eat at one of their many restaurants – Indian, Chinese, “Irish”, or Italian. Marvel at what a weird place it is. Have a (usually) hot shower in the locker rooms. Otherwise I’d hightail it out of Gacuriro and head somewhere with more to offer, so, essentially, anywhere else. So, there’s really nowhere to eat in Gacuriro – though it’s not far to great places of Nyarutarama – Zen, Sakae, MTN Center, The Poet – they’re all only 5 minutes away. Apparently a cafe is opening in the Woodlands building, which would be nice, but as of yet does not exist. Pascha Restaurant – This is the only Turkish restaurant in town and it’s good. I’m no expert on Turkish food, but I’ve liked everything they’ve thrown at me, so far. Mysterious things I’ve never heard of like the delicious ‘beyti’ which seems to be some sort of a lamb sausage in some sort of a flat bread with some sort of a tomato sauce on it. The place is pricey but nice for a treat. Great outdoor seating and occasional love tunes being belted out on the acoustic guitar. Well! Let me tell you! We have a bumping club up here in Gacuriro. K-Club, formerly known as B-Club, oft called Z-Club, is on the top floor of Woodlands. You can’t miss it, as they didn’t hold back in adorning the building with alternating flashing Christmas lights. Painful. Prices tend to be a bit high, and the clientele is usually diaspora Rwandese. Happy hour on Wednesday nights, and decent space for dancing. You can definitely have a good time with the right crowd. I live in Kigali. I like it. I live in Gacuriro and I think it’s great. The house is reasonably new and comfortable, you are away from the hustle and bustle but at the same time only 15 minutes drive from the centre of town. I have a ten minute commute to work and yes the views are stunning. We really do think we made the right choice when we decided to live in Gacuriro. I live in Gacuriro too, and also quite like it. Hey, it may not have the hustle and bustle of being right in the middle of town, but it is great to get home and actually feel like you’re in a rural space…I have adopted a puppy and he loves to scamper across the road to play with the cows in the maize field. And as Simon says, it IS only 15 minutes from town. And I don’t find it inhibitive to enjoying the restaurants and cafes at all. I lived in JHB where you could spend a LOT of time commuting to and from work….so what a pleasure this is! Want the quiet of the countryside – while also the conveniences of the city (on this point, Gaciriro might actually do the job). 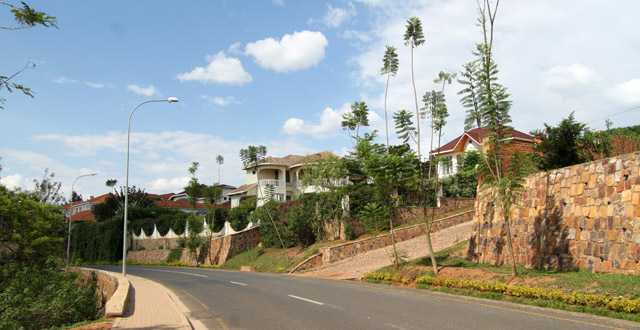 I will be doing research on Rwandans returning from the diaspora, so perhaps this kind of new, middle-class suburb is the right place to start? Hi, there are kids…but I wouldn’t know about whether they play outside or not since I work all day..but I believe that they will find friends…at school or elsewhere. People won’t approach you…they are too polite and reserved. You need to approach them, but once you do you will find them open and friendly and I have no doubt that they’ll be fine. I think the way to integrate is the way the Rwandans do it…make friends..invite them to dinner…have them introduce you around…..I find that works well. And if all fails…I can be your friend too. Ha ha. I have recently moved into Gacurio from Rusizi District and find this area quite small and pact compared to rural areas in Rusizi/Nyamasheke Districts. My dog used to have a huge garden three times bigger than the one here but now he needs to adjust himself to a very small garden…I don’t know people in the neighborhood but would like to make some friends other than my work colleagues who live in the same area. Can anyone suggest something for me? Is there any Expat community here? I have been living in Gacuriro for about 5 months now, but if there is an expat community I don’t know about it. I know a lot of expats LIVE there,,,but they keep to themselves mostly. I am a South African and since my friend left in Feb…it has been a little quiet. how r u are i want know how is this area for making a small hotel like townhouse , does is worth and what is the normal rent of a room there. Nowhere is really far in Kigali and Gacuriro is sort of over on that side of town. So it’s a good spot for you. 🙂 I’ve never actually been up to Gacuriro so I’m not sure how hard it is to get motos or taxis there. Although if you have a car it’s not an issue. I live in Gaculiro or Gacuriro depending on the time of day. It is an area where a lot construction is going on, but the houses are new and of good quality. I am impressed by the Woodlands Grocery Store. The only thing that they are missing is fresh meat. Their vegetables/fruits are better than most stores. Motos or taxis are available at the Woodlands/gas station. I wouldn’t say that it is close to Amahoro, but it isn’t far either. whoever if you know can you teach me? Do you have an address? A phone number? 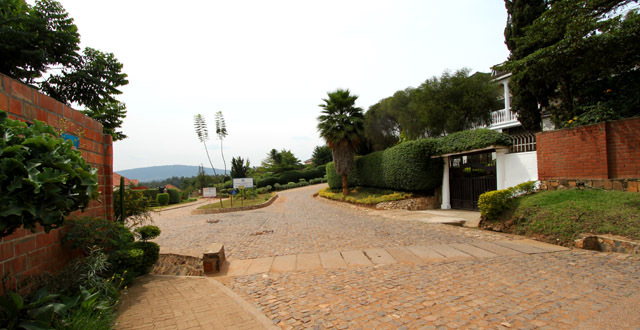 Do you know kigali golf course gacuriro,kigali? Anyone living in Gacuriro and looking for a running buddy in the morning? How much is the monthly rent at Gacuriro?